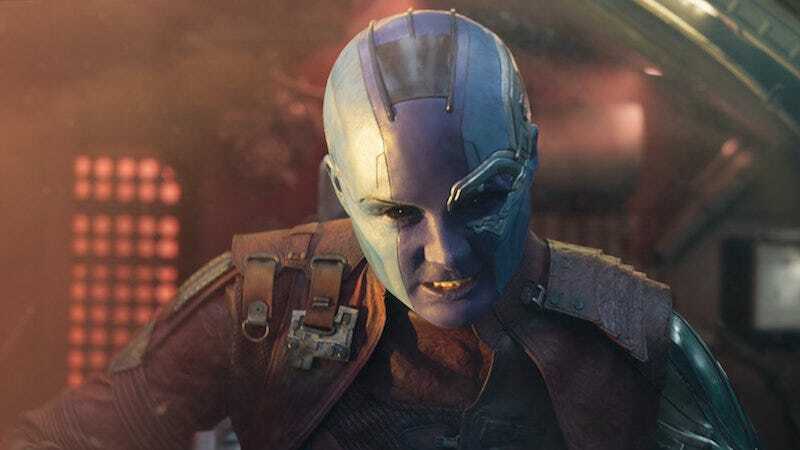 Of all of Marvel’s vaguely defined villains, Nebula was always more of an opportunist than a straight-up believer, which is why her changing sides in Guardians of the Galaxy Vol. 2 works. But, according to Karen Gillan, Nebula wasn’t even supposed to be alive to switch sides. She probably means the script written by Nicole Perlman, which James Gunn changed a lot of when he was hired to direct. We know that Gunn’s original ending for the film removed any ambiguity about Nebula’s fate, showing a disgusted Nebula walking away from the battlefield. If Nebula was slated to die, it must have changed way before they shot the film. It’s also interesting because a character originally slotted to die is not only playing a part in the second Guardians, but is also one of the many, many characters set to show up in Infinity War. She’s not a one-off villain or henchman, which she could have easily been. If nothing else, hopefully Nebula and Loki get together in Infinity War to commiserate over being disgruntled siblings.